There are many variations in today’s household sewage treatment systems. The evaluation of a residential system is a very specialized process that most general home inspectors do not always understand. 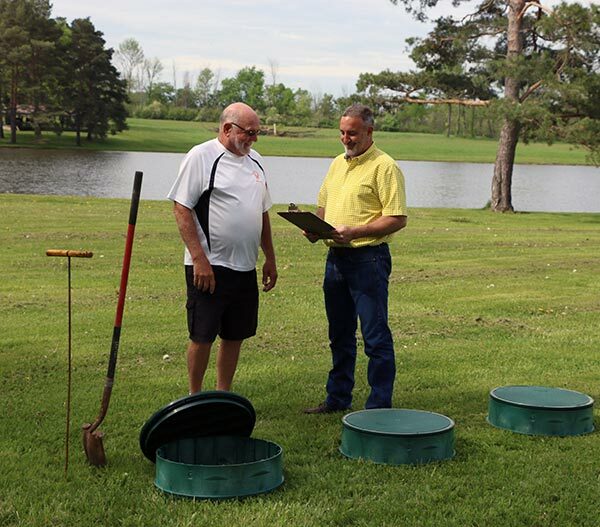 Leave your inspection to the septic system experts! The new residential systems are very complex; experience and training is necessary to accurately evaluate your home septic system. We hate to see a new home owner discover major issues with a home septic system in a home that they just purchased because of an inaccurate evaluation, or worse, no inspection at all. Know what you're getting into; insist that the system is inspected prior to purchase. Septic tank repairs can be costly, that is why it is important to have a company like Supeck involved in your home septic tank inspection process. It's important to have a thorough, expert septic tank inspection before selling your home, before purchasing a home with a septic tank, or if you have concerns about your current home's septic system. We inspect all types of home septic systems regardless of the age or complexity. The inspection includes visual inspection of the tank and components. Dye testing may be used to evaluate the inlet line, tank, and secondary treatment of the system. Inspections normally take one hour with a detailed report and results given upon completion. Call today to schedule a septic tank inspection.